A season that began with momentary optimism for the Miami Dolphins has slowly regressed to become the staple of comical mediocrity we all expected it to be. 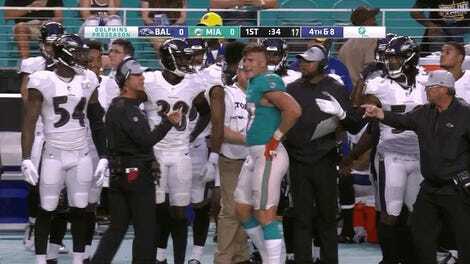 The team’s prospects against the Chicago Bears and their man-eating defensive unit for Sunday got even worse when the Dolphins announced that starting quarterback Ryan Tannehill will be inactive for today’s game. Who is it that the Dolphins are putting at the helm of their offense today in his place, you ask? None other than Brock Osweiler. Yes, the very same Brock Osweiler that Houston gave a four-year, $72 million contract two after a seven-game sample size in Denver where he had the backing of a defense that dragged the lifeless corpse of Peyton Manning to a final Super Bowl victory. It’s been pretty downhill for the guy since securing that enormous bag. After only starting for Houston’s 2016 playoff run because of an injury to Tom Savage, Osweiler was shipped off to Cleveland only to get cut just six months later. Denver decided to welcome him back with open arms, and he thanked them by going 0-4 as a starter. 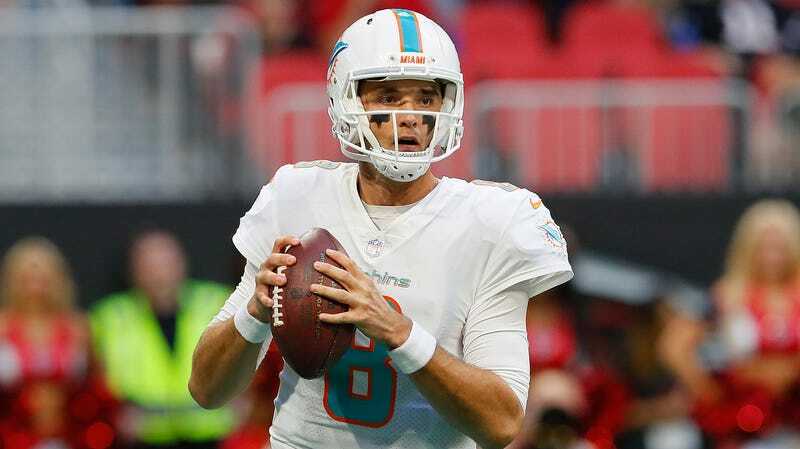 He’s since taken his talents to South Beach where the plan was to let him play second fiddle to Tannehill. Instead, he’s getting fed to the Bears in what’s likely a ritualistic sacrifice to save the Dolphins’ season. If there was ever a team built to destroy the confidence of a backup QB, it’s the Bears’. Chicago is first in the NFL in yards allowed, second in sacks, and third in interceptions and forced fumbles. Above all else, there’s the looming figure of Khalil Mack on the edge of the trenches ready to strike at any moment. This is the team whose defense is kind of responsible for Aaron Rodgers’ latest injury. This is obviously going to go terribly for Miami, who fell like they’re slowly on pace to becoming the worst team in NFL history to start 3-0. But hopefully this will be the kind of bad that you just can’t help but look at, for the sake of the neutrals.